CLEVELAND, OH – AUGUST 21: Odell Beckham Jr. The New York Giants were holding their collective breath when their star wideout went down hard on preseason Monday Night Football. There are those who despise the exercise known as preseason football. In the second quarter of tonight’s tilt between the New York Giants and Cleveland Browns, you would have a tough time not believing that Big Blue wide receiver Odell Beckham Jr. shares that thought. Less than a minute into the quarter, Giants quarterback Eli Manning and the star wideout connected on an 18-yard pass play. However, Beckham took quite the hit from Browns’ cornerback Briean Boddy-Calhoun following the reception. Beckham, third in the NFL a year ago with 101 receptions, headed off the field and into the tunnel. But he was unable to get back on his feet until a member of team assisted him. ESPN’s Lisa Salters would go onto state that Beckham underwent concussion protocol and was cleared. The network also reported, via Chris Mortensen, that the three-year wideout suffered a sprained ankle. The young star underwent X-rays in regards to that injury. Following intermission, Odell Beckham Jr. was out of his uniform and made his way back to the New York Giants’ sidelines. Meanwhile, Salters reported early in the third quarter that the results of the X-rays had not yet been released. When he asked Beckham how he was doing, the always-entertaining gave his own version of a thumbs-up. 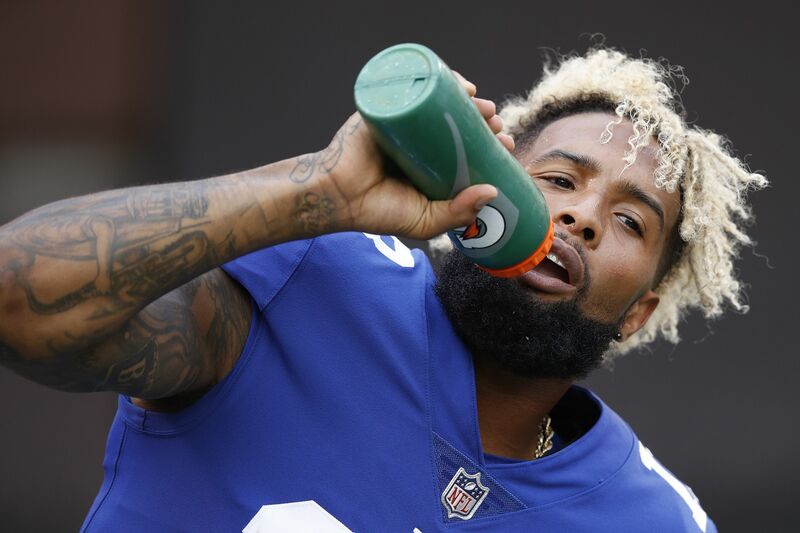 We are still awaiting the word on Beckham’s ankle, with the ESPN announcers suggesting more examination would be done Tuesday when the Giants are back in New York.